Kris Nathan Humphries was born on 6 February 1985, in Minneapolis, Minnesota USA, of part Afro-American descent through hs father. He is a star basketball player, who is known for playing in such teams as “Washington Wizards”, “Boston Celtics”, “Dallas Mavericks”, “Toronto Raptors” and others. During his career Kris has won various titles and awards. Some of them include “McDonald’s All-American”, “Minnesota Mr. Basketball”, and “Super 25 Basketball Team”. Kris is now 30 years old and there is a high chance that in the future this list of awards and titles will become longer. So how rich is Kris Humphries? It is estimated that Kris’ net worth is $18 million. The main source of this sum of money is, of course, Kris’ successful career as a professional basketball player. His other activities related to this sport have also added to Humphries’ net worth. Kris was interested in sports from a very young age, and when he was only 10 years old he started participating in swimming competitions. What is really surprising is that Kris was really successful at swimming and even held the US national record for the 50-meter freestyle for 10 and under boys. Despite these great results that Kris achieved as a swimmer, he decided to start playing basketball when he was 12 years old. Humphries soon became one of the best players of the Hopkin High School’s basketball team and contributed much to a 25-2 win record and the state championship. Kris continued his studies at the University of Minnesota, where he was also able to prove that he was one of the best players of the team, but after one year, in 2004 he was picked by the Utah Jazz in the NBA Draft so binning his professional career. This had a huge impact on the growth of Kris Humphries’ net worth. However, Two years later Kris was traded to the “Toronto Raptors”, and slowly became more acclaimed and experienced. In 2009 Kris was gain traded, this time to the “Dallas Maverick”, where he played for only one year, and then went to the “New Jersey/Brooklyn Nets”. His net worth grew steadily, especially with each trade. As Kris became more famous there were many teams that wanted him to play for them, that is why in 2013 Kris was again traded to another team, entitled “Boston Celtics”. Now Humphries plays for “Washington Wizards” and it is clearly the main source of his net worth. In total.is has played almost 700 games in the NBA. In addition to his NBA career, Kris was also a part of 2002 U.S. Junior World Championship Qualifying Tournament Team. Undoubtedly, he showed his best skills and helped the team win bronze medal. It is clear that Kris is a very talented and experienced basketball player. If to talk about Kris’ personal life, it can be said that in 2011 he married Kim Kardashian and appeared several times in the show called “Keeping Up with the Kardashians”. Unfortunately, their marriage did not last long and in the same year Kim demanded a divorce, which was finalized only in 2013. 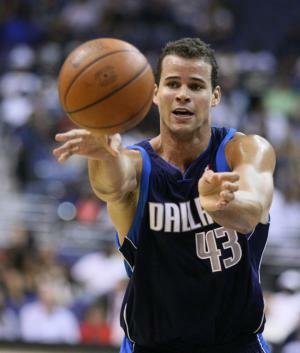 All in all, Kris Humphries is one of the most successful basketball players. As he is still quite young, he can still achieve a lot and become even more famous, acclaimed and richer. Corruption In My Country? Of Course NOT!